A new era of collectable trading cards is here thanks to Topps and their self-design process. The platform recreates your favorite selfie or picture of someone else together with the 2015 Topps MLB Series 1, 1952 Vintage MLB or 2015 Topps MLS card designs. 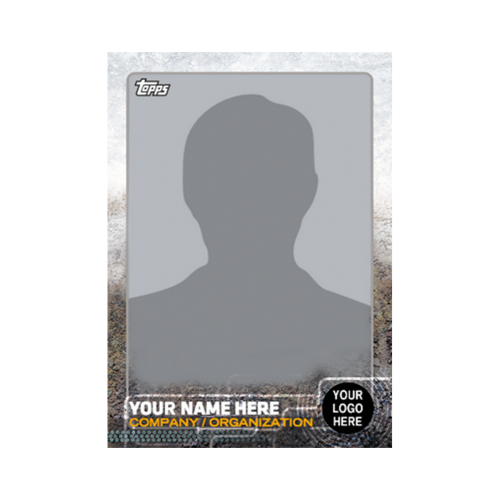 Add a personal name or business to a MLB, MLS or corporate logo of an organization of your choosing on the back of the card. It also comes with the option to include a position and a brief description. Customizable Trading Card- 1952 Vintage Topps. The Topps 1952 Vintage Baseball Custom Trading Cards include the classic design used to present the best MLB players of all-time. Add a MLB logo of your favorite team or upload a logo of your own. The cards have the same authentic look and feel of the standard Topps Trading cards. Topps custom trading cards are an ideal gift for fans and collectors that spans generations. The cards are shipped in packs of 8 in 3-5 days. 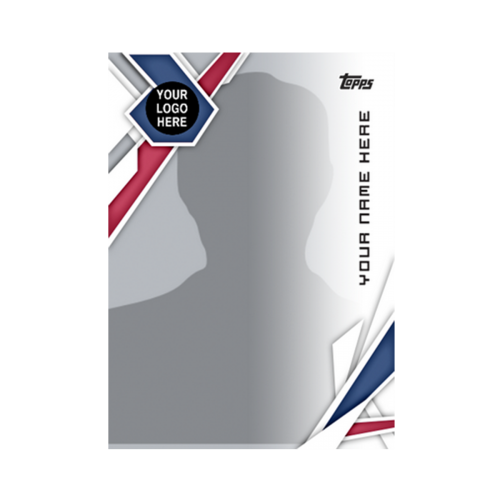 Buyers are ensured of purchasing MLB and MLS caliber cards displaying a person of their choosing, with a logo of choice plus a few personal stats on the back. Packs retail for $9.99. If a Little Leaguer of today is playing with the next Felix Hernandez of tomorrow, might owning a self-design card of a mega star like Derek Jeter be worth something more than face value on the secondary market over time? What kind of value would a Mike Trout self-design card when he was 12 years old in mint condition have today? I’m not sure. Custom cards are designed to be great gifts and keepsakes. Not clear about eight cards per pack. Is that eight different designs and eight different photos or is it eight different designs and the same photo, for $9.99? Is shipping extra? It is 8 cards of the same design. This allows people to give cards from their packs to their family and friends. Shipping is an additional cost. Who are some of your favorite teams and players from the 1952 Vintage Topps and 2015 Series One baseball cards? I’m a White Sox fan, so I’m always partial to White Sox players. It’s hard not to love the iconic ’52 Mantle card. The Jackie Robinson card is also a classic. From this year’s set, the Jeter card is my favorite. Is the MLS a hot trading card market? The MLS trading card market is definitely on the rise. This is due to the success from the men’s performance at last year’s World Cup and the continued popularity of the sport in the US. The MLS has also signed a lot of talented foreign players and has a lot of young stars that have emerged that people want to collect. Is Topps selling or planning to sell self-design cards to the ASI promotional products industry? I believe these make terrific business cards and a corporate gift to employees. Yes, we do feel that there is a big opportunity in the business community for custom trading and business cards. We have started discussions with a few companies and partners. We encourage businesses that are interested in this program to contact our customer service for more information. What other card designs are coming? There are a lot of other card designs in the pipeline. You will see a Future Stars card, baseball cards from the‘70’s and ‘80’s and other leagues in the next few months. 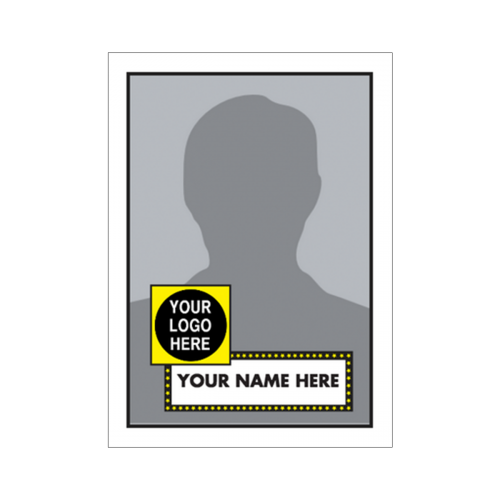 Self-cards are available to be customized and purchased immediately at Topps. Founded in 1938, Topps is the leading creator and marketer of sports and related cards, entertainment products, and distinctive confectionery. Topps entertainment products include the NFL, MLB, UFC, MLS, WWE and other trading cards, sticker album collections, and collectible games. The Company’s confectionery brands include Bazooka® bubble gum, Ring Pop®, Push Pop®, Baby Bottle Pop® and Juicy Drop ® Pop lollipops. For additional information, visit Sports Cards and Entertainment Cards at Topps.com and follow on facebook at facebook.com/Topps, on twitter @Toppscards, and now on Instagram @ToppsSports. Kids are trading cards with each other all the time. My Dad did it in the 40’s, my brothers and friends did it during the 70’s and 80’s and now my son can go digital with a selfie card by Topps and join the fun. Imagine one day your t-ball teammate becomes the next Todd Frazier of the Cincinnati Reds, winner of the 2015 MLB All-Star Game Home Run Derby. You and might wonder what you did with his customized self designed trading card you trader for and saved as a collectors item. Perhaps a new collector’s market has dawned. Topps delivers the ability for fans to create your own cards for the first time. Maybe you ply like the next Lorenzo Cain, Prince Fielder or Robinson Cano, or your friend is the next Andrew McCutchen, Jacob deGrom or Aroldis Chapman. Wouldn’t it be awesome to own a custom Little League or high school card of a future Hall of Fame, superstar playing guy or girl. I loved the LA Dodgers as a young kid and my brothers liked the big red machine with Pete Rose, Joe Morgan and Johnny Bench. I am still a lifetime Detroit Tigers and Seattle Mariners fan and now root on the Atlanta Braves. We took our baby son to a loud Sounders FC match at Century Link stadium and are big fans of the new Atlanta United FC team beginning MLS play at New Atlanta Stadium in 2017. Can’t wait to see how much this tech has evolved by the time my son is a teenager. Make Your Own Cards by Topps are a good family fit. NFL football self-cards must be next.